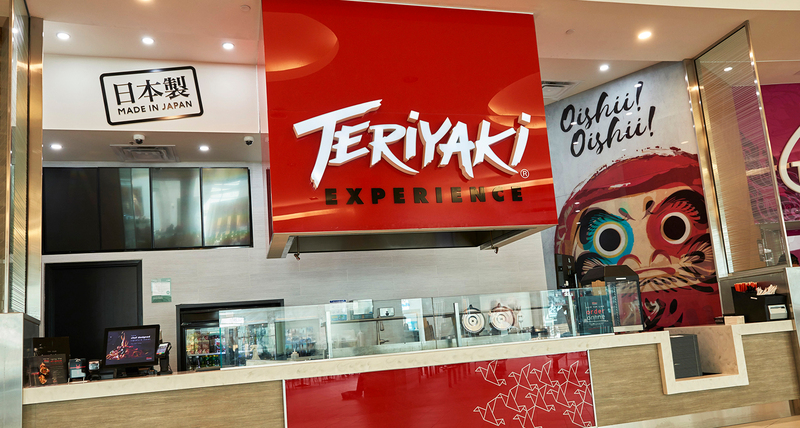 Shikatani Lacroix was retained by Innovative Food Brands to create a new customer experience through a redesign of Teriyaki Experience’s in-line and stand-alone restaurants. With over 110 restaurants in operation worldwide, Teriyaki Experience commissioned Shikatani Lacroix to develop a new store design that would highlight the fast, fresh and healthy Japanese-inspired food that the chain is known for. 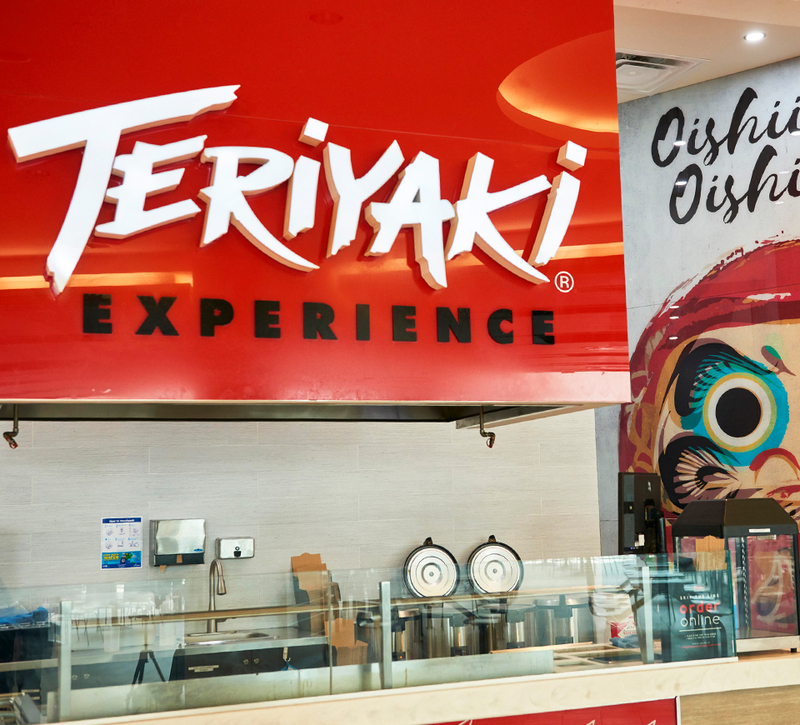 Teriyaki Experience wanted their restaurants to feel more authentic and to increase popularity by attracting new customers – especially among a younger demographic. 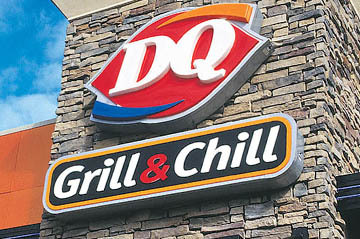 The new design had to be franchise focused and modular, so existing restaurants could be updated and retrofitted according to individual market needs. 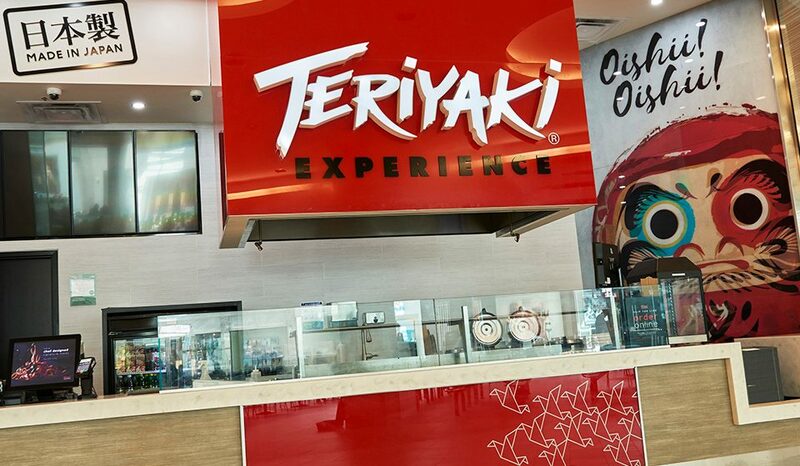 Teriyaki Experience also hoped to create more consistency throughout their franchise locations and to emphasize the benefits of “fast casual” dining, all while improving convenience and connecting with customers on an emotional level. 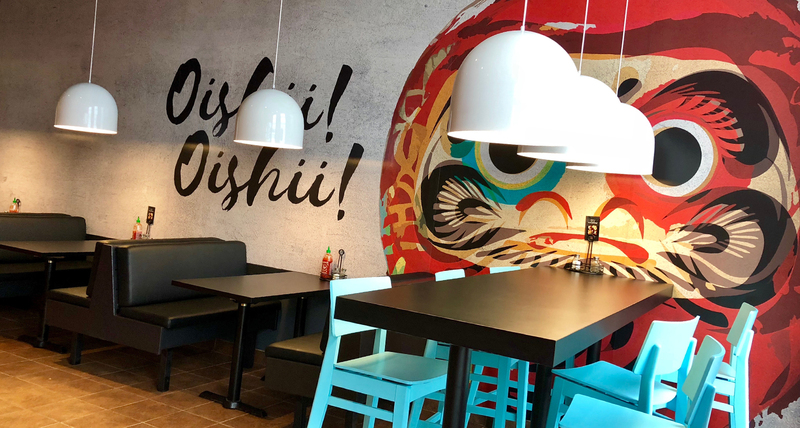 With a fixed budget that had to incorporate all aspects of Teriyaki Experience’s restaurant design, it was important for Shikatani Lacroix to make design choices that would provide growth opportunities for franchisees. 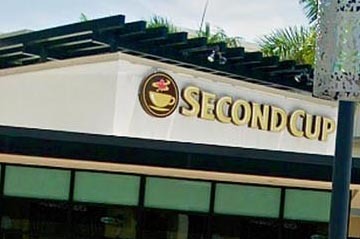 While certain detailsof their restaurants were unique and set them apart from competitors, there were also areas in which they could improve, such as digital communications, furniture and fixture package, and restaurant layout. Along with creating a design that could be altered depending on franchisee needs and budgets, Shikatani Lacroix also had to produce a concept that would work for both stand-alone and in-line food court restaurants. 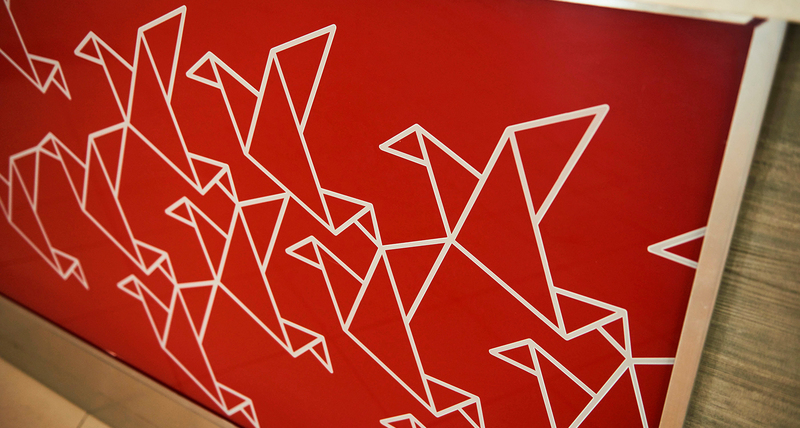 For the stand-alone locations, it was important to implement retrofitted design elements that could be incorporated into existing spaces. For the food court restaurants, the focus was to attract attention in a crowded and competitive environment. 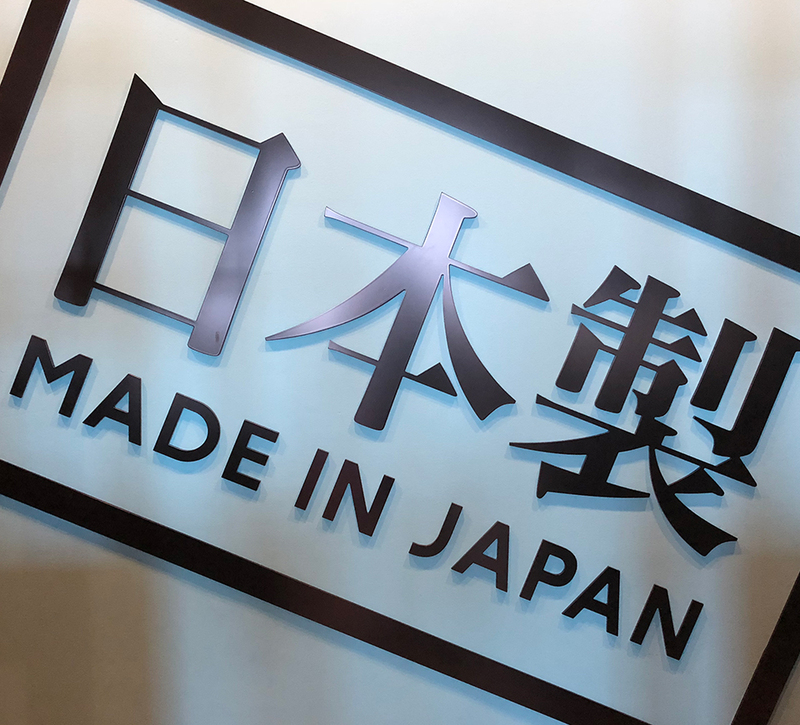 Shikatani Lacroix started the project by conducting a series of audits to better understand what would support a new customer experience, such as visiting franchise locations, interviewing management and franchisees, reviewing competitors and identifying relevant trends. Through this research, Shikatani Lacroix was able to determine areas of opportunity for Teriyaki Experience. 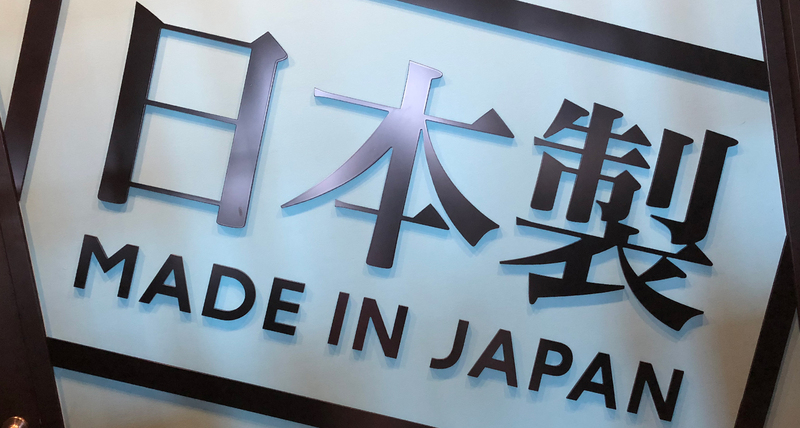 Shikatani Lacroix then organized an ideation session with Teriyaki Experience executives and franchisees to help gain an understanding of the customer experience as well as to explore potential facility directions. 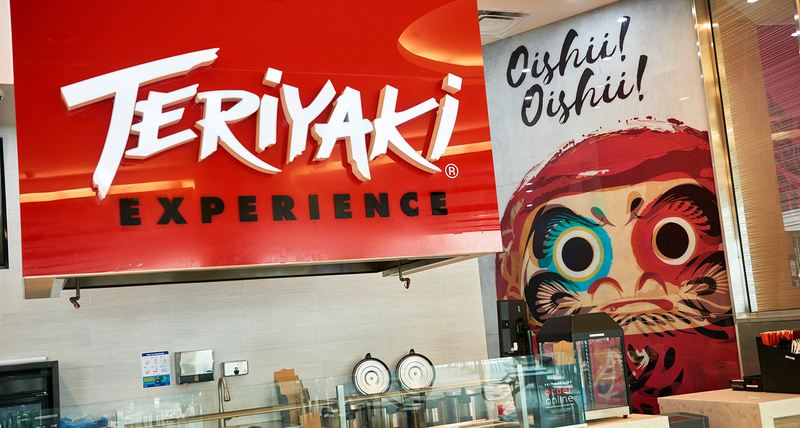 By building on brand assets, enhancing brand elements, and introducing new menu items, categories and branding initiatives, Shikatani Lacroix was confident that Teriyaki Experience could successfully increase restaurant visits and appeal to new customers. 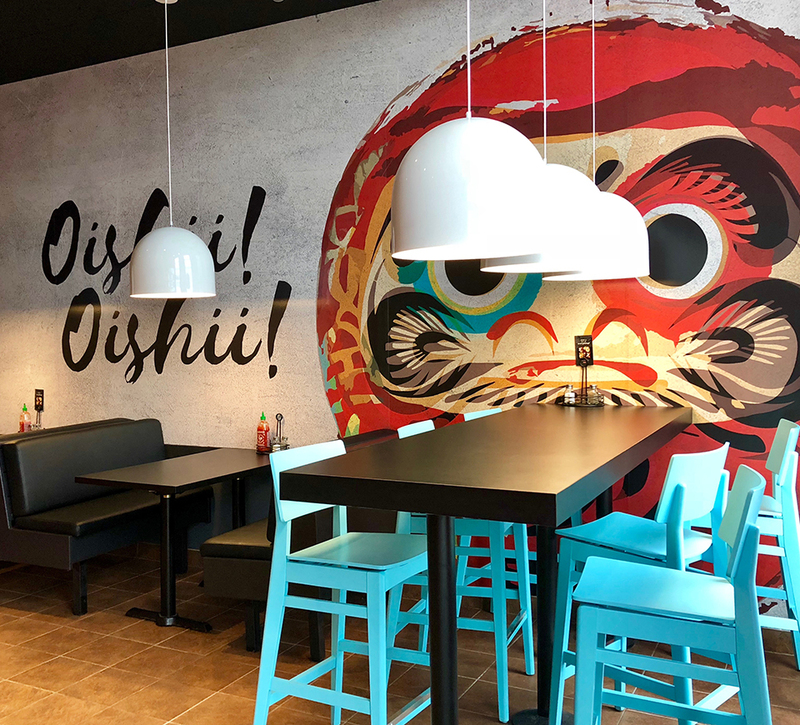 The concept that Shikatani Lacroix presented to Teriyaki Experience moves away from the stereotypical “Japanese” look and instead focuses on bright colors, natural finishes, engaging graphics and modern design elements. Both the in-line and stand-alone designs highlight the theatre around meal preparation, and the updated signage and displays ensure that customers have a better understanding of food offerings. 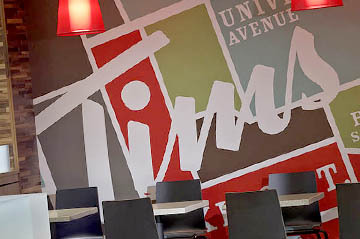 The design concepts and their modular components provide the opportunity for Teriyaki Experience to establish more consistency throughout their locations and underscore the appeal of “fast-casual.” Such things as a stylized daruma face on the wall and the use of red and turquoise color accents are an easy and cost-effective way for franchisees to update their restaurants while staying on brand. 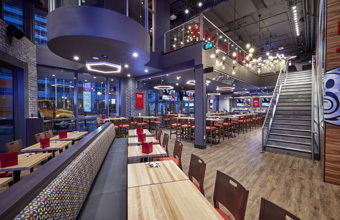 The first in-line location featuring the new design opened in Upper Canada Mall in Newmarket, Ontario in the spring of 2018, while the first stand-alone restaurant opened at the Heartland Town Centre in Mississauga. 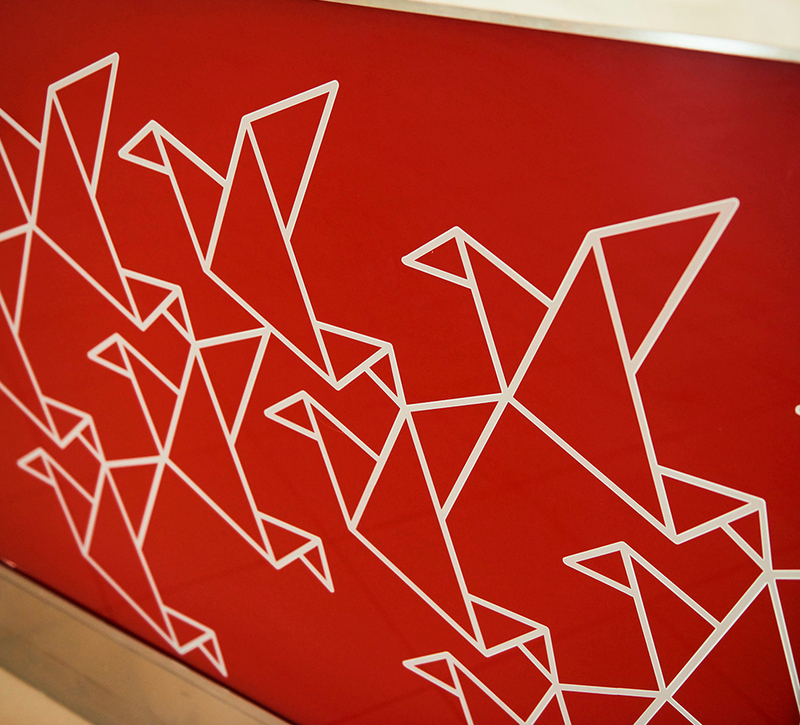 Both restaurants brought the design concepts and renderings to life, offering a new look and experience for customers. 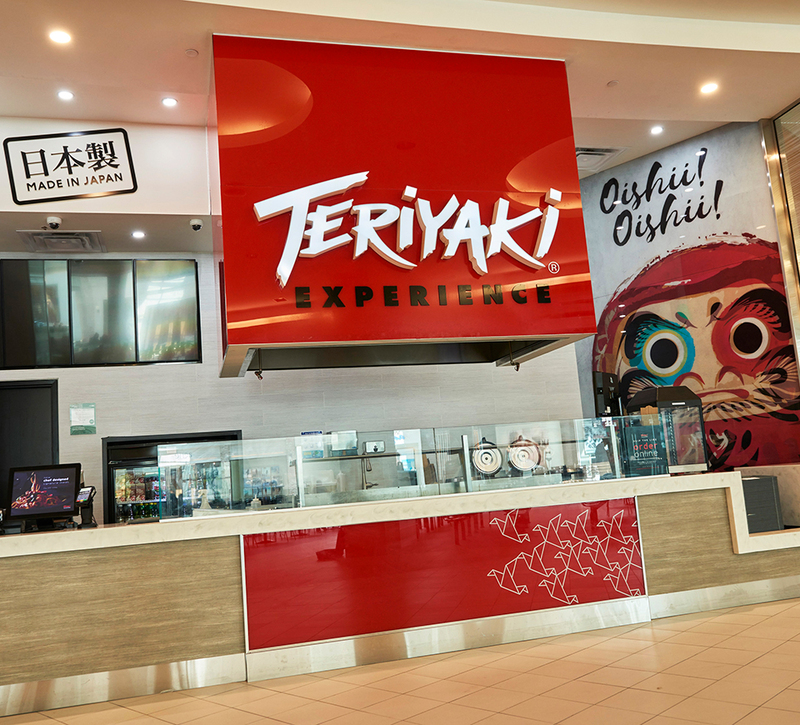 Teriyaki Experience and their franchisees are excited about the new designs and are eager to welcome customers into their modern and appealing locations.